Lehner describes halos as the “gaseous atmospheres of galaxies”. 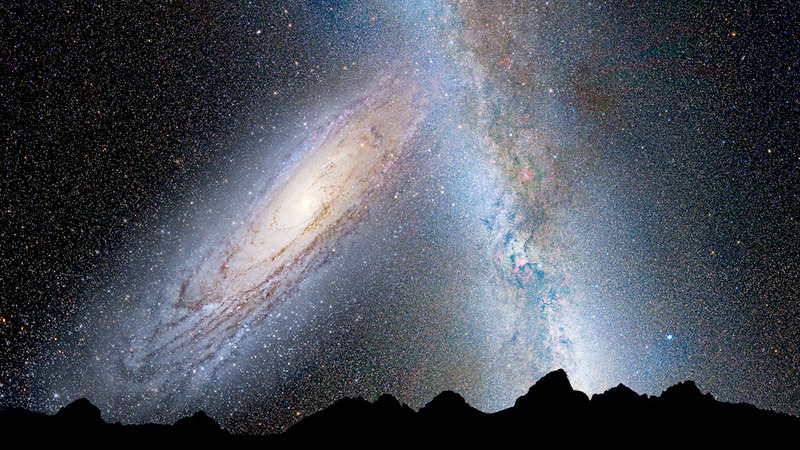 Irrespective of its massive size, Andromeda’s nimbus is nearly invisible. To detect and study the halo, the Astrophysicists required quasars, distant star-like bodies that emit incredible amounts of energy as matter is sucked into the supermassive black holes. The brightest quasar, 3C273 in Virgo, can be easily detected with a 6-inch telescope! As the light from the quasars travels toward Hubble Telescope, the halo’s gas will absorb some of that light and make the quasar look like a little darker in just a very small wavelength range,”. By measuring the decrease in brightness, we can tell how much halo gas from M31 there is between us and that particular quasar. Astrophysicists have observed halos around 44 other galaxies but they never discovered it as massive as Andromeda where so many quasars are reachable to clearly outline its range. The other 44 were all very distant galaxies, with only a single quasar or data point to control halo size and structure. 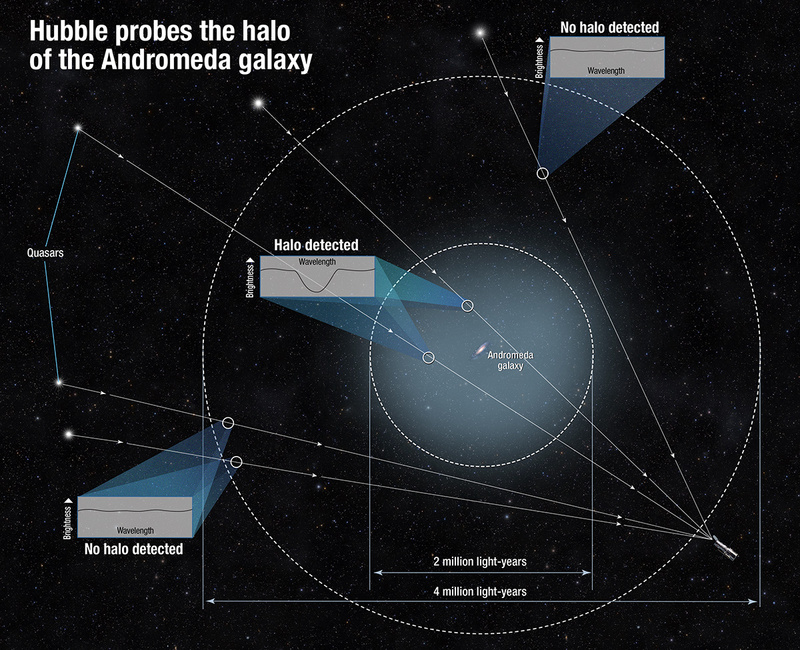 The halo is expected to contain half the mass of the stars in the Andromeda galaxy itself, in the form of a hot, rambling gas. Simulations suggest that it formed at the same time as the rest of the Andromeda. They explode inside the galaxy and violently blow noble stuff like iron, silicon, oxygen and other similar elements far into space. Previously Scientists stated that over Andromeda’s lifetime, almost half of all the heavy elements gathered by its stars have been discharged far outside the galaxy’s 200,000-light-year stellar disk. You can read the complete research paper here and Hubble’s release here. And next time on a clear night you look up to spot Andromeda Galaxy, remember this: it’s closer than you think!